We provide already fitted Tomasetto, Lovato, BRC and other Indian,Italian CNG kit brands Repair Service.We also provide Cylinder retesting service at the end of 3 years. Misra Auto Gas is Govt. 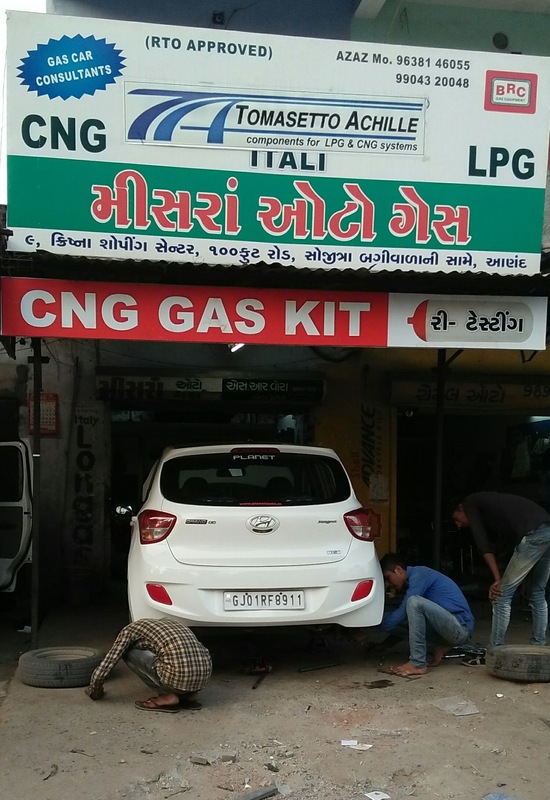 Approved CNG gas kit fitter in Anand,Kheda,Gujarat. We have fitted more than 5000 CNG conversion gas kits like Sequential Gas kit, Tomasetto Gas kit in all types of cars.